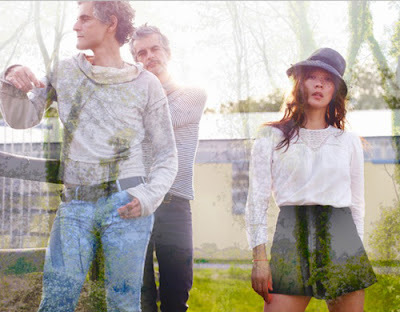 Blonde Redhead is one of my favorite bands. 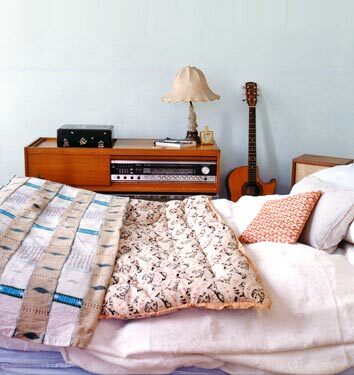 One of the things I like most about them is their photos are always so dreamy and beautiful, and their album covers and show posters are always designed really well. 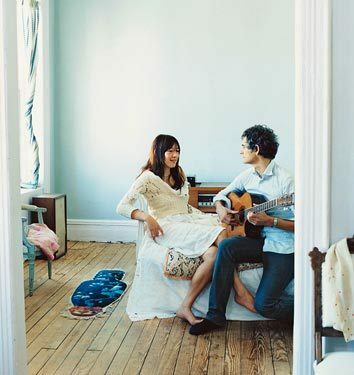 While I was in LA after Thanksgiving, I picked up a Blonde Redhead print back from their Misery Is A Butterfly era at Amoeba Records, and I can't wait to figure out where I am going to put it. 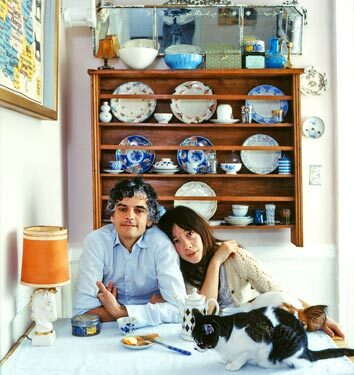 A few years back, Domino magazine (RIP) did a feature on Kazu and Amedeo's apartment. 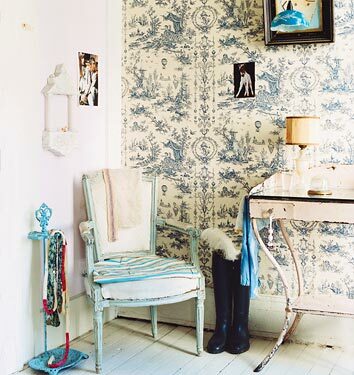 I am not normally one for toile wallpaper (sorry mom) but they've done it perfectly! This place is so so pretty! why did domino go away? i've never figured it out. I think for the same reason any other magazine would go away - lack of money coming in from advertisers, plus they were owned by Conde Nast, a company that sets the stakes pretty high, or so I've heard. They were probably doing well, just not AS well as their publisher wanted. "Oh this old magazine? I found it in a dumpster."